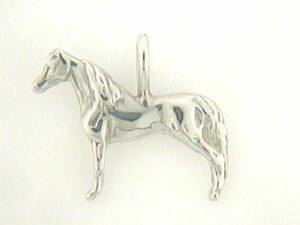 Ideal for a necklace or enjoy as a lapel. PICTURED AND PRICED HERE IN 14KY YELLOW GOLD! 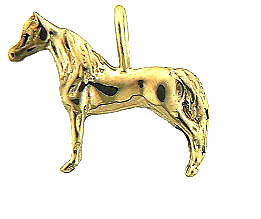 If you have minies you can not go wrong with this miniature horse pendant. It offers a two deminsional look with a three demininsional style.